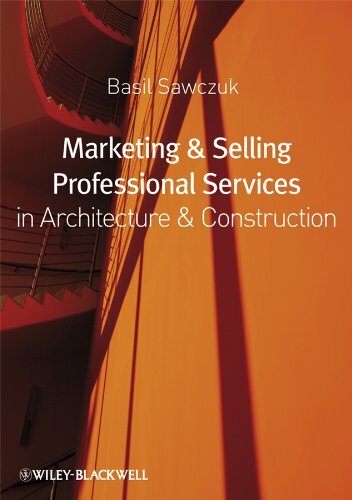 [PDF] Marketing and Selling Professional Services in Architecture and Construction | Free eBooks Download - EBOOKEE! Description: This practical book on selling and marketing will help architects, engineers, project managers, facilities managers, surveyors, and contractors 'sell' themselves to prospective clients. As clients become more sophisticated at both local and international level, and as competition in the construction industry increases, both contractors and consultants have to take a more professional approach to selling themselves. This is especially true for PFI bids where vast resources are committed to winning multi-million pound contracts. Through a simple-to-follow process, illustrated with plenty of diagrams and checklists, Marketing & Selling Professional Services in Architecture & Construction sets out the seven key aspects of selling and marketing professional services. It is full of applicable ideas and examples and is well structured to enable readers to dip into the section relevant to their current needs. No comments for "[PDF] Marketing and Selling Professional Services in Architecture and Construction".